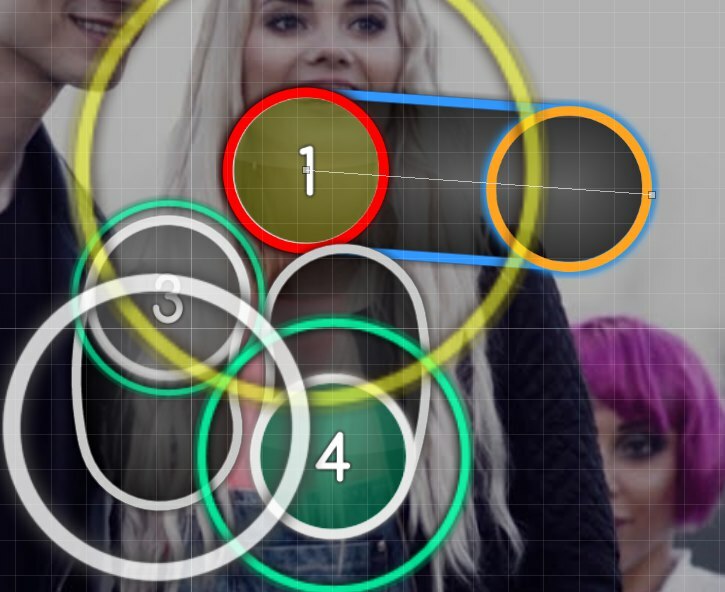 Mig - Ta Malutka Blondynka · forums · community | osu! Check out wajinshu's TV Size Mapset! Nie czekaj, nie zwlekaj, bo czas już nam ucieka. Last edited by deadpon3 December 27, 2017 at 11:38:21 AM GMT , edited 216 times in total. That's all, as I said, I dont feel like I can mod something well for last time. I keep AR2 on Easy diff, it becomes 1,5*+ if higher. Changed OD on that diff. Hitsounds seem really low quality. Those loud soft-hitfinish and not-fitting soft-hitclap are kinda off. For soft-hitclap you should use something like this — link. Soft-hitfinish (00:25:703 - / 00:26:585 - / 00:27:468 - etc.) does not fit as well. Some kind of default drum-hitfinishes must be better. You can use your loud one for these strong beats 00:24:821 - etc. Normal has ar4 Hard has ar8. Weird, isn't it? Make 5 for normal, 7 for hard, 3 for easy. By the way, od5 for hard is too small, 6 will work better. And you use the same hp in easy and normal. Make in normal bigger. And hp in hard you can increase as well. One more thing about the spread — gap between the normal and the hard is too big. You should add an advanced if you wanna rank it. Give kd as you want. good luck with the set~! Fixed the hitsounds, soft-hitfinish isn't that loud anymore. Also changed soft-hitclap for those you sent in the link. All diffs' settings are fixed aswell. Hard was quite inventive and diferse. This one seems like monotonous jump spam. 01:41:144 (2,3,4,5,6,7,1,2,3,4,5,6,7,1,2,3,4,5,6,7,1,2,3,4,5,6,7,1,2,3,4,5,6,7,1,2,3,4,5,6,1,2,3,4,5,6,7,1,2,3,4,5,6,7,1,2,3,4,5,6,7,8,1,2,3,4,5,6,1,2,3,4,5,6,7,8,1,2,3,4,5,6,7,8,1,2,3,4,5,6,7,8,1,2,3,4,5,6,1,2,3,4,5,6,7,8) - looks just boring(sorry). Be more creative, add some sliders(for example here 01:54:821 (1,2) - ) and different patterns. Very nice. I only have one suggestion. Even with easy maps, I'm not particularly fond of the repeated sliders like 00:05:429 (1). I would personally have done two sliders beside one another, like what you had in the beginning. 00:25:723 (2, 3, 1, 2, 3) -- A little crowded here. you may want to substitute some symmetry for more open spacing and clearer cursor direction. 00:53:076 (1) and 02:07:194 (1) -- These are a bit deceptive: they appear to be an eighth note apart when they're actually a quarter note apart. To have a similar effect, you could place the note right on top of the end of the previous slider. The player's attention goes from the distance to the approach circle. 01:52:194 (2) -- Since this is paired with the previous slider, I think the shape ought to be congruent, or close to congruent to it. In other words, make it curvier. In general, you don't need to have your spacing be so sporadic. Just because it's a higher difficulty doesn't mean it should be necessarily more difficult to read. I'll point out some examples below, but areas outside of the chorus have some unnecessarily close spacing that in my opinion doesn't translate too well to the song. Also in general, jumps with predominantly acute angles between each circle are easier because the vertex of movement is more defined. You may want to tweak some jumps to accommodate for this idea. 00:02:120 (2,3) -- These don't need to be almost touching. Separate them enough so that you can see a guiding line. 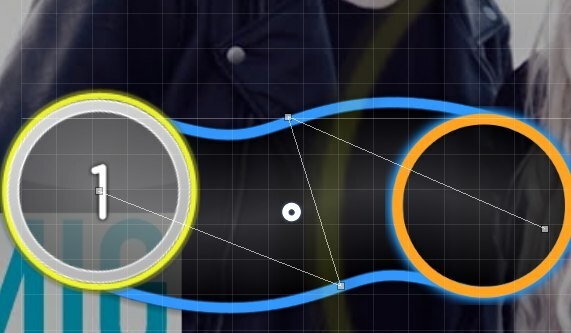 00:27:267 (4,5) -- Since this slider is coming right after the jumps, it really ought to be further away from the last circle. Also, the slider that follows really shouldn't be overlapping. Generally speaking, with Hard, overlap with eighth notes (or red ticks) is never needed. 00:38:076 (3) -- Make it further away from the previous slider, if only by a little bit. 00:40:723 (1,2) -- Again, I don't like the slider overlap. Apply this comment to wherever the issue is present. 01:12:929 (3,4,5) -- Place the (4) in between the sliders instead. Much more readable that way. 01:19:988 (3,4,5) -- Ditto as above. I'm much more fond of the flow of this difficulty compared to Hard. The jumps are much more readable and satisfying (although the latter is just because they're harder jumps). 00:43:811 (5,1) -- More spacing. 01:12:929 (2,1) -- I would have put (1) elsewhere, not on top of the last note. This is just for readability. 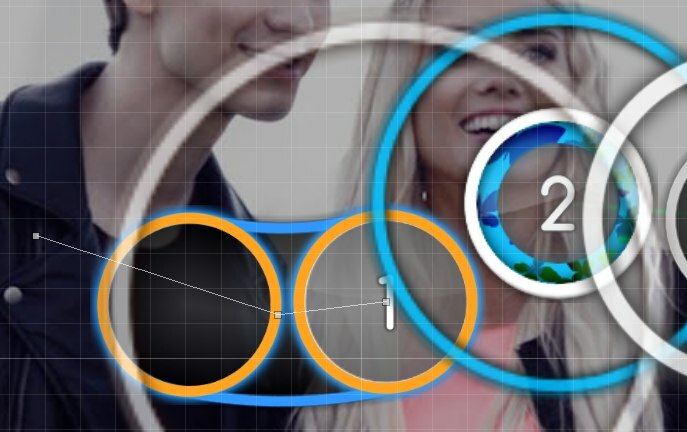 For the purpose of flow, I also would have the slider pointing directly at the next circle. 01:20:208 (3,4) -- Once again, I would have (3) pointing to (4). They can even be a bit further apart in order to achieve this. 02:16:899 (4,5) -- At (1, 2) before this, the circles were overlapping. I think these ones should be too, since it's the same musical idea. 00:42:047 (6,1) - reconstruct '6' to make perfect blanket for '1'. 01:53:958 (4) - move this to x:272 y:25 so it will be consistent. 03:34:547 (5) - probably it is supposed to be at x:188 y:99, otherwise it's inconsistent and ugly. 03:34:767 (1,2,3) - i'd suggest to make just a triangle. 00:19:547 (1) - to make a better blanket i'd suggest to increase the distance a bit. 00:29:694 (6) - adjust the blanket. 01:32:782 (1,2,3,1,2) - i suggest to use ctrl+shift+d patterns in order to make perfect start shape. i got nothing else to say in this difficulty. 00:19:547 (1) - i have no idea why did you put here a spinner it doesn't fit at all, i recomend to fill this place with notes. 03:19:547 (1,1) - em.. why? Why are there a set of new combos? 03:23:076 (1,2,1) - such spacing change in the easiest difficulty in the set is not welcome, ya know. Thank You for the mod. Seems that I have to remove all SV changes in Easy/Normal xd. 00:36:752 (2,1) - prolly u could do a better blanket here or smth..
00:15:355 - 00:15:797 - kinda same? 03:20:870 (3) - maybe ctrl+h? 02:19:547 (1) - can you like blanket this like that 02:19:105 (7) - one? Nie jest przypadkiem trochę za duży spread między Hardem a Remizą? Disable Widescreen support and Letterbox unless you're planning on adding a SB. How about using custom combo colors? It seems purple has a relation with the bg as well fitting a lot with the music. It seems there's a hitsounds that are not being used: soft-hitclap2.wav. 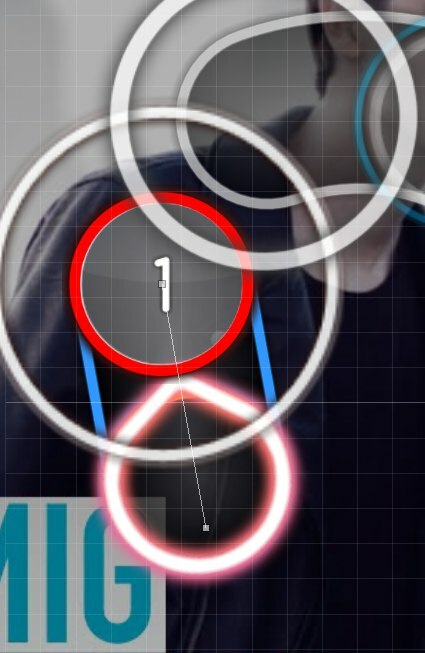 You should probably consider not using this hitsound due to his length. The difficulty spread right now is a little problematic. Easy-Normal ; 0,59* Normal-Hard; 1,06* Hard-Wesele w Remizie; 1,38* . Possibilities: A)Buff normal and slightly buff on hard to make all difficulites 1,0* from each other. B)Add a 3* Light Insane difficulty so the gap from Hard-Insane decrease from the actual 1,38*. I accept this DS 00:47:782 (1,2) - 1,05x, but be careful with variations. Also good job on the distance of this map, really consistent. Move this 01:57:929 (2) - to x:347 y:118 . This will prevent to look a little overlap. Change this pattern 02:17:782 (1,2) - . Suggestion: http://puu.sh/rgS7J.jpg This suggestion is to prevent the hard movement of this sliders 02:18:664 (2,1) - . New players they will not use the leniency of the slider and making that flow a back and forth will be hard considering the previous patterns. This increase of DS here is trully interesting 00:41:605 (3,4) - .It's a 0,1x increase to the instruments on the 1/2 gap. I believe it work, BUT as a modder I must warn that some other ppl won't like it. So be careful with this. I don't quite understand this new combo here 00:42:488 (1,1) - . All combos are going for the big white ticks but this one isn't. Nazi suggestion; Make all of this the same distance 00:47:782 (1,2,3,4) - . Going for; 1,19x 1,20 1,19x and 1,23x it's okay, but this pattern could be done better with a perfect DS between all objects. Ds decreased a lot here 01:07:194 (1,2) - it went to 1,18x .After comes a small jump of 1,58x. This sort of variation I strongly recommend to be thought over again. It's a guideline that diffs with this star rate have all objects with the same distance. Also the flow here is really odd compared to the rest of the map 01:07:194 (1,2,1) - . It's not a BAD flow, it's an odd one, since this sort of angle wasn't really used anywhere else. Small variation of DS 02:04:988 (3) - 1,15x, this one is totally ok, just be careful. Flow here is weird 02:23:958 (3,1) - . Same idea of back and forth patterning that doesn't really seems to fit in this difficulty.